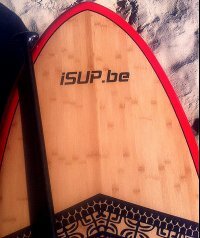 Here's a nice little video in which Starboard brings their two SUP (and windsurf!) stars in front of the camera: Anne Marie Reichmann and Iballa Moreno. It's very fresh, well made and with no pretention. The best of it all? It makes you want to go paddle! We particularly liked the sequence with Iballa Moreno surfing, the breakdown is great! Congrats ladies!